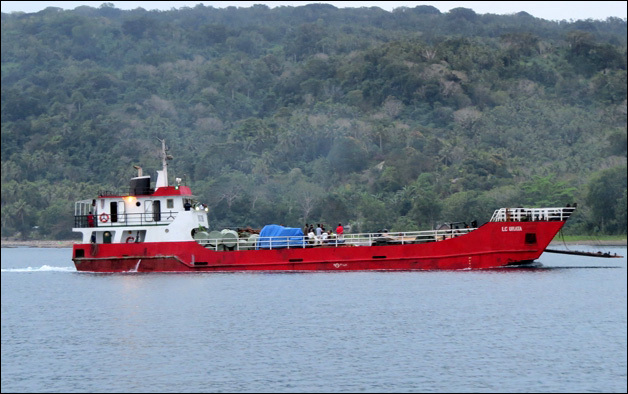 En route to the next stopover of Ambrym, the Blue Planet Odyssey sailors overnighted in the protected Awei anchorage, part of the small island group the Maskelynes off the south coast of Malekula. 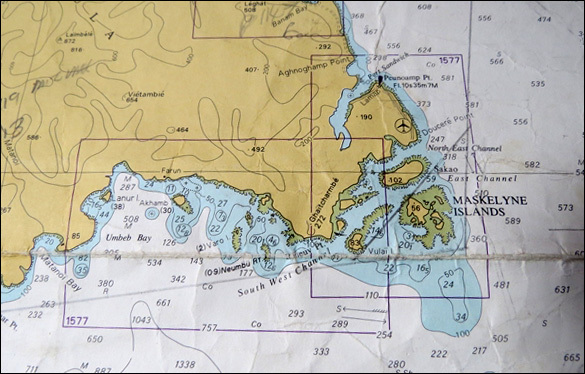 The Maskelyne islands provide a sheltered anchorage. 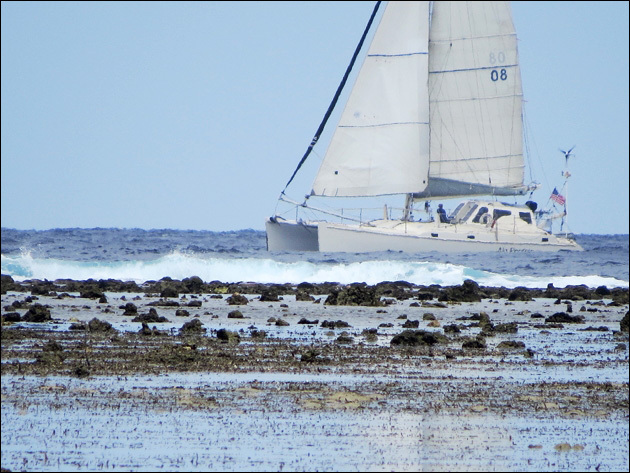 Tucked behind a barrier reef, those boat which arrived first had a great view of the other yachts sailing past the reef. NO REGRETS sails past the reef en route to the Awei anchorage. MAGGIE sails past the reef. 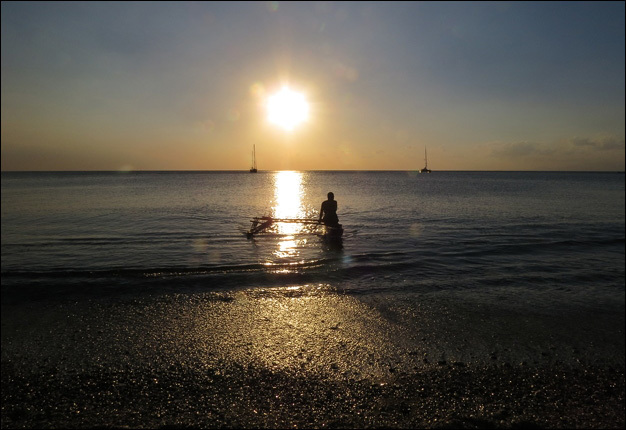 Although there were no villages nearby, the anchorage was busy with local people in outrigger canoes fishing, searching for octopus on the reef, or going to and from their gardens in the bush. 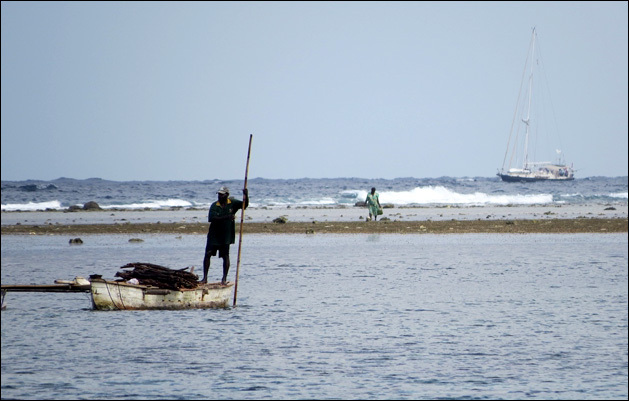 All the land on the islands belongs to one family or another, even if to our foreign eyes it looks wild and uncultivated – tucked away in the trees can be found carefully tended gardens where people grow bananas and root crops like taro, yam and sweet potato. 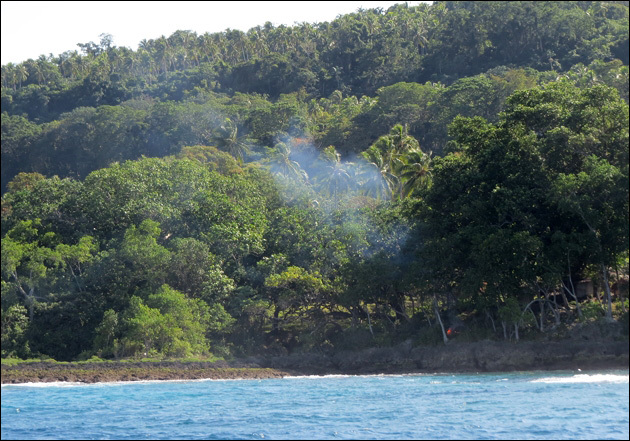 Typical Vanuatu coastline, the villages hidden from the sea, smoke the only sign of life. Returning home from the garden. 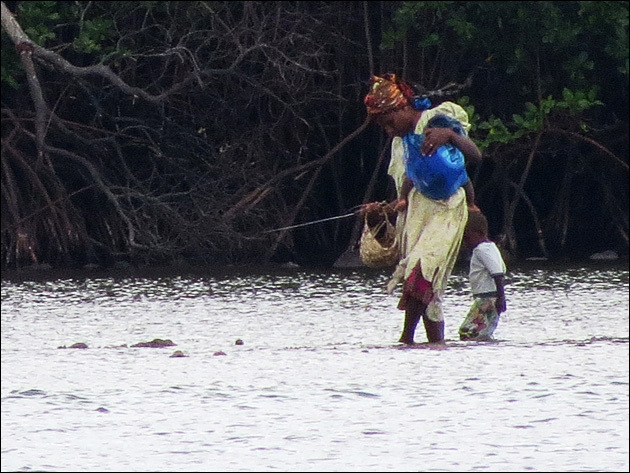 Fishing on the reef at low tide. 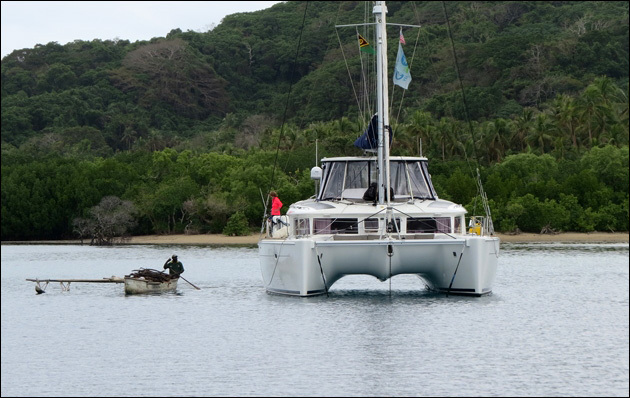 With no less than six yachts in the anchorage, the Blue Planet Odyssey fleet became a source of interest, and canoes stopped by so people could have a chat and find out where these sailors had come from. Local fisherman stops by for a chat with Janet on CHAPTER TWO. 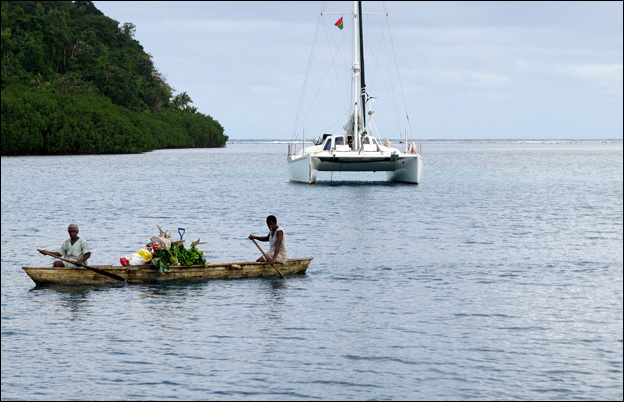 A small landing craft brings essential supplies to all the villages in the outer islands.